This Louisiana State Parks and Louisiana National Parks list will help you decide which of these adventures will be right for your road trip with kids. Come see what the Pelican State has to offer! There is no better way to explore the rich culture in Louisiana than to spend some quality time in the many state and national national parks Louisiana has to offer. From the swamps to the jazz, there is a lot to learn from these Louisiana state parks and Louisiana national parks. Use this guide to find the ones you want to visit and of course to locate the best stopping points with campgrounds. While on your next road trip with kids, park the RV for the night and enjoy this vast park which includes hiking trails and Louisiana-style swam lands. You can explore the trails by foot or horseback and Frickes Cave is always open for exploration. This is one of the newest state parks and is located just south of Franklinton. This is a great park to stop at if you want to camp out for a while, get some clothes through the washer, and of course head out on the lake for an afternoon of relaxation and fishing. This park is located up on a bluff in Bastrop which overlooks a bayou. 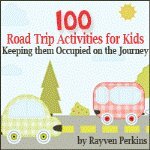 A great addition to your road trip with kids. Welcome to the land of seafood and oil. If that doesn't sound like a great combination, you aren't familiar with the culture in southern Louisiana. This park is located in the Gulf of Mexico in Jefferson Parish. This is one of the best places to visit with a family because children can play on the beach and chase cute little crabs while the adults head out for adventures in deep-sea saltwater fishing. Visitors go to this Louisiana state park for the beautiful water features. There is a large lake which feeds water to gardens, waterfalls, pools, fountains, and even a geyser. You will pay about $5 per person to get into the park, but it is more than worth the expense if you spend the day soaking up the beauty. If you know where Many is, just head south for about 14 miles to find this park. This is a larger park with full amenities for campers. Back up the RV, throw a fire on the included fire rings, and plan out your weekend or even your week. You can do practically anything outdoors here, including canoeing, boating, fishing, water skiing, swimming, and simply hanging out on the playground. You can even wash your clothes in the laundromat! The park is located in Chatham. Settle in for a night or two and explore the great outdoors in this mild-weathered state park. You can spend an afternoon fishing or take the family for a long hike. There are also opportunities to go bird watching or take spectacular wildlife pictures. This is a playground out in the wild suitable for all members of the family. You won't find an Olympic-sized swimming pool in many Louisiana state parks, but you will find one at North Toledo Bend in the Zwolle. This is one of many fully accessible state parks set up to entertain the entire family. Get outdoors for a while then find shelter from the sun, rain or cold air in the visitor's center. Sitting next to the Mississippi River in Braithwaite is a natural respite from city life. This is a great park to visit for a little rest and relaxation with the family. You can explore waterways and dry land in a family-friendly environment. This is the best of all Louisiana state parks and Louisiana national parks if you are interested in bird watching. There are hundreds of different bird species passing through the area at key times of the year, so bring up the family and get out binoculars. This is also a great place for water sports and hiking. Camping is permitted. Paved hiking trails and some of the most spectacular lake views you may ever witness. What more could you ask for in a state park? This is clearly one of the most beautiful Louisiana state parks and it is also handicap accessible. Look it up in Anacoco. This is one of the best state parks in Louisiana if you want to experience the swamps and other physical features the state is known for. You can meander through the swamps and a variety of forest trees to explore what Louisiana is supposed to look like. 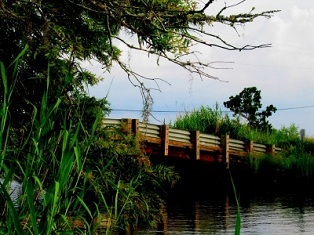 Explore the boardwalk to give the family a true Louisiana adventure. This is located in Springfield. 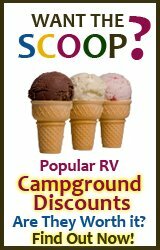 This is an excellent park for RV travelers. Park with hook ups for electricity and water then set out to enjoy the unique canoe trail. Of course, you can still venture dry land on foot if you prefer the hike. Or, just stay a couple days and explore the trails on the water and off. This is located in Doyline. This state park will remind you of the picturesque small town parks where mothers push babies in strollers and children blow bubbles under the trees. You can stop with the family for a picnic or a nice walk and of course, you can't pass up the snowball stand. If you don't know what a snowball is, head to Madisonville and find out. What is a river-bottomed swamp? You will soon find out if you have the heart to venture away from typical Louisiana tourist destinations to find this hidden park outside of St. Martinville. This isn't your typical state park so be prepared for adventure Louisiana style. 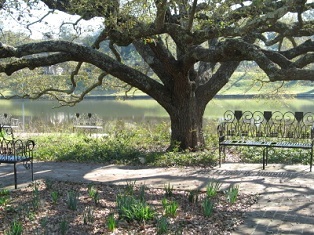 This is a large area that covers a variety of historical and cultural sites that teach about Louisiana. You will see how a variety of cultures came together to create the culture that is alive today and you see how important the river is to life in the state. The entry point for this area is in the city of Natchitoches. While on your road trip with kids this park is also in the area of Natchitoches and runs along both sides of the Cane River. This is a beautiful place to get out for a walk. Make sure to look around at the old trees and the plantations surrounding the river. Mother Nature is the main feature of this state park. This is a historic trail that has been in existence for more than 300 years. You can pick it up in Natchitoches and follow for a while, but it extends all the way into Texas. The point of the trail is to highlight the historic journeys of important figures settling this country many years ago. This is one of the more expansive Louisiana national parks with sites to explore in six different cities across the state. All sites are designed to explore the rich culture of Louisiana and educate visitors on the mingling of different nationalities which contributed to the rich culture thriving today. You can find these historic sites in all of these cities: Lafayette, Eunice, Thibodaux, Marrero, Chalmette, and New Orleans. You can't visit New Orleans without enjoying a little jazz. This park offers a museum that explores the history of jazz in the state and theatre performances that the entire family will enjoy. For music lovers this will definitely rank as one of the best Louisiana state parks and Louisiana national parks. This is one of the most unusual Louisiana state parks and national parks, so you won't want to pass it up if you pass through the northeastern part of the state. The mounds and ridges that were carved into the landscape here have been considered just as spectacular as the Egyptian pyramids. 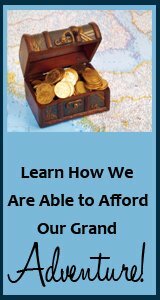 Work this site into your tour of Louisiana state parks and national parks to see if you find it fascinating.